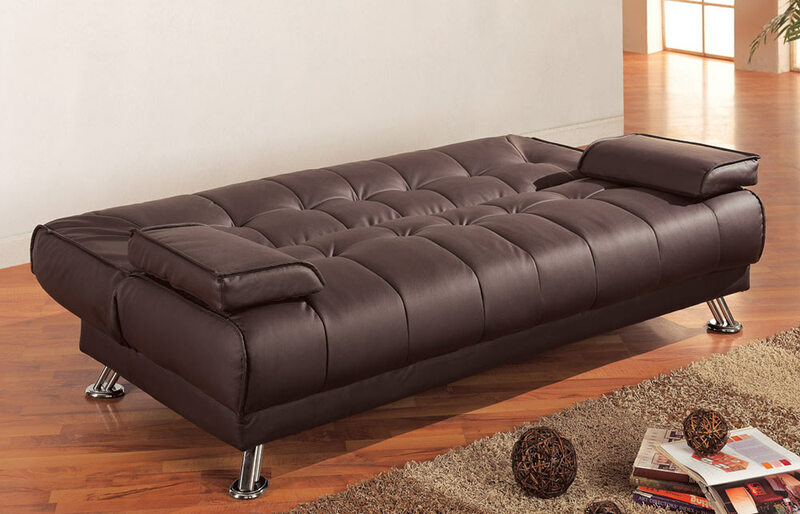 Futon Sofa Bed In Brown Vinyl Finish. Soft Cushion Seat And Back For More Extra Comfort. Perfect For Areas That Have A Small Space Requirement. 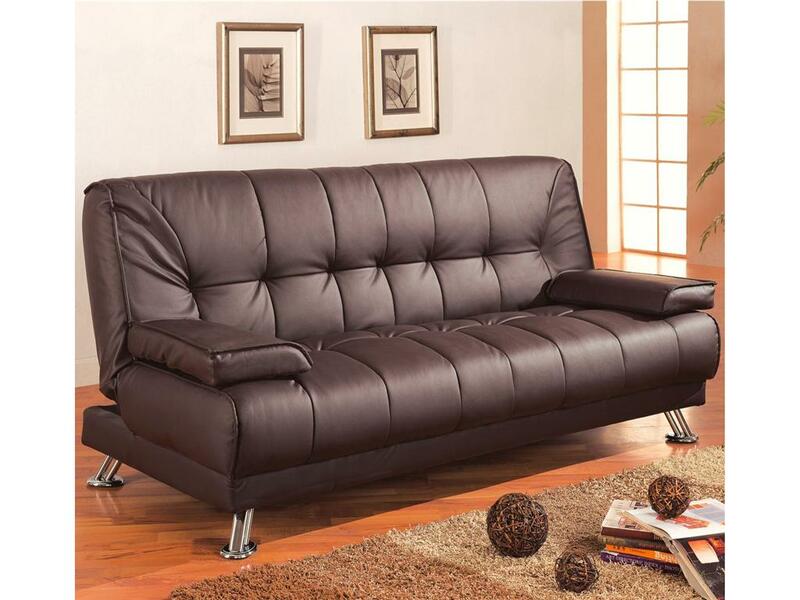 Brown vinyl folding futon sofa bed with removable arms, measures 76 1/2' x 36" x 36 1/2" H, when laying flat measures 76 1/2" x 47" x 21" H.